I love the produce that the cooler weather brings. I don’t think fall and winter would be complete without the variety of winter squash that we’ve come to enjoy. 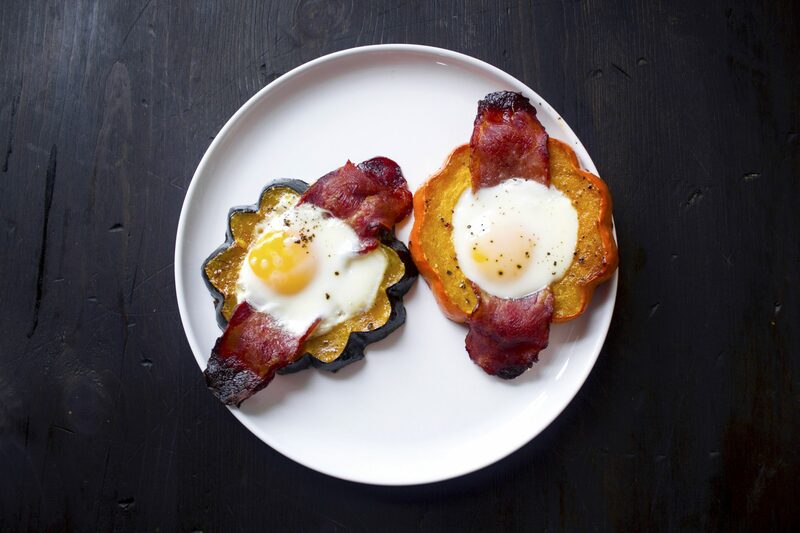 I’m always looking for ways to incorporate these yummy vegetables into our weekly meals and I think that I may have a new favorite way to eat acorn squash—roasted with a delicious slice of turkey bacon and an egg! Acorn squash is a winter squash which comes from the same family as summer squash, including yellow squash and zucchini. Like butternut squash, the flesh is firm and include seeds and pulp which need to be removed prior to cooking. The flesh has a sweet, nutty flavor and can be steamed, broiled, grilled or baked. You can find these in a variety of colors, including green, orange, and white. Because of the ridges, I prefer leave the skin on. Just wash, dry, and cut off the ends. Then slice into 1-inch-thick slices. Remove the pulp and seeds with a spoon or round cutter. Place each ring on a lightly greased baking sheet. Brush the maple and butter glaze on each ring and sprinkle with salt and pepper. Bake at 450 degrees Fahrenheit for 10 minutes. After 10 minutes, remove the pan from the oven and use a spatula to flip the rings to the other side. Brush more maple glaze on the slices and sprinkle again with salt and pepper. Place a piece of turkey bacon into each ring, fitting the bacon along the inside wall and bottom of the pan, to make a cup or pocket for the egg. Bake the squash and bacon for 20 minutes. After 20 minutes, the bacon and squash should be just about done. Make sure the bacon lines the inside of each ring so that there is room for the egg. Crack an egg into each cup and sprinkle the egg with salt and pepper, if you’d like. Pop the pan back into the oven and bake for 5–10 minutes, until the egg is cooked to your liking. 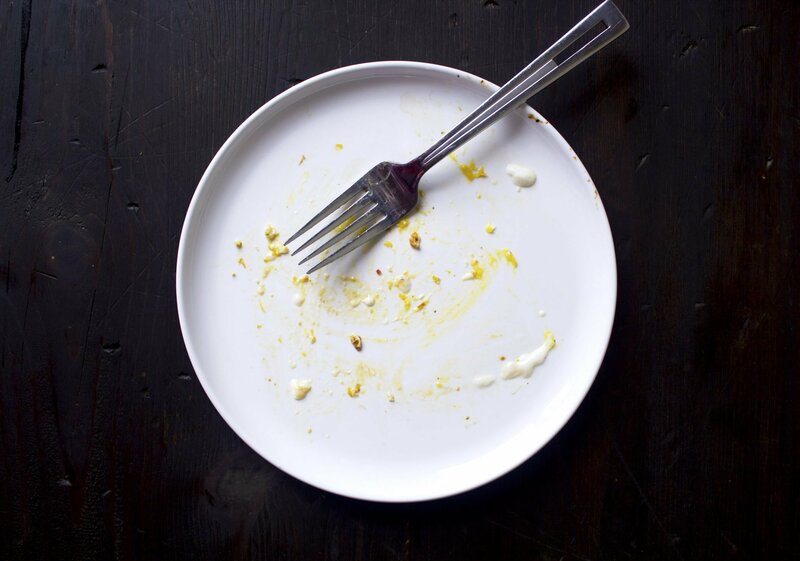 Use a spatula to carefully lift each squash cup onto a plate. Serve immediately. Yeah, I’d say they were a hit! Enjoy! 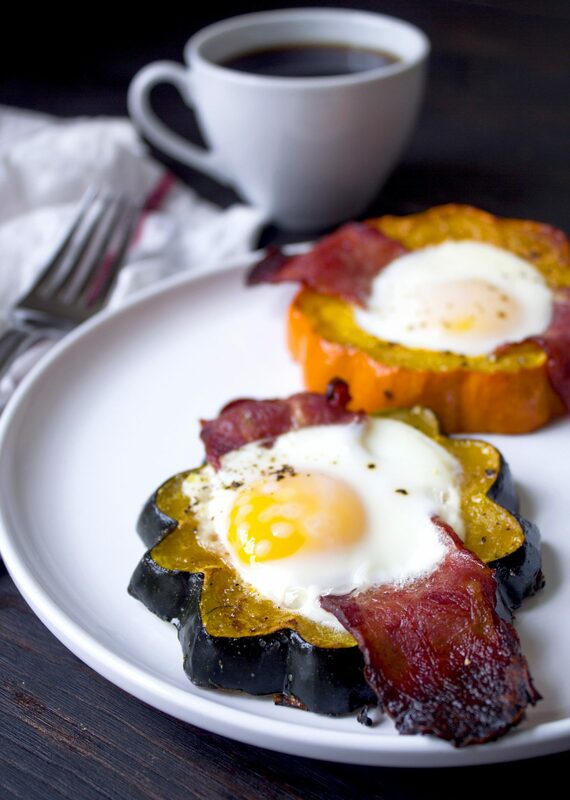 Maple glazed acorn squash is roasted with turkey bacon and an egg. A perfect grain and gluten free way to enjoy a delicious breakfast! Preheat oven to 400 degrees Fahrenheit. Wash and dry squash thoroughly. Using a serrated knife, cut the ends off of the squash. Cut into 1-inch rings and remove seeds. I used a round cookie cutter the size of the center of the squash, but you can also use a spoon to remove the seeds and pulp. Place rings on a lightly greased baking sheet. Melt butter in a small microwavable dish. Add maple syrup and stir to combine (Should be enough to glaze the tops and bottoms of 6–8 slices.) Brush the tops of the squash with the maple mixture and sprinkle with salt and pepper. Place in the oven and bake for 10 minutes. After they have baked for 10 minutes, remove the pan from the oven. Flip the rings over, brush maple glaze on the other side and sprinkle with more salt and pepper. 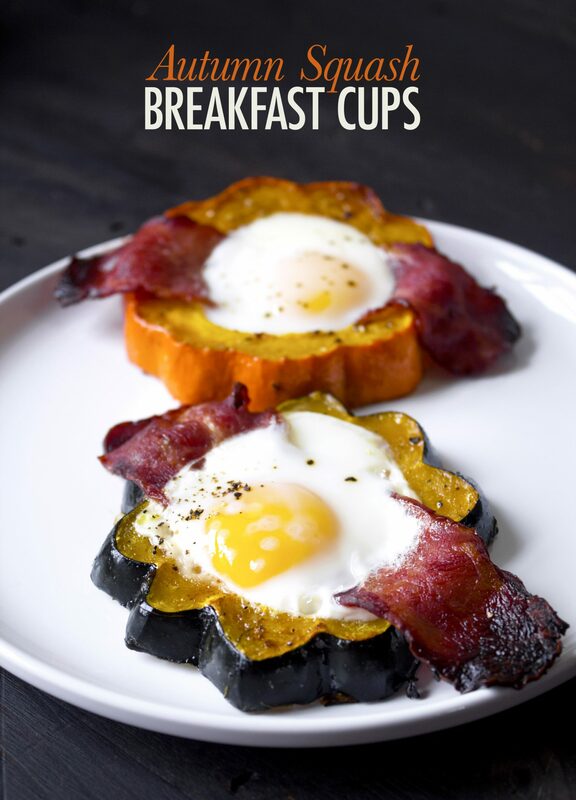 Place a piece of bacon into each ring, lining each cup and overlapping the sides of the squash (see picture above.) Place back in the oven and bake for 20 minutes. In 20 minutes, remove the pan again and check each piece of bacon to make sure they fit along the inside of the rings. There needs to be enough room for the egg. Crack an egg into each cup and sprinkle with a little salt and pepper. Bake for 5–10 minutes, until the egg is cooked to your liking. Remove the pan from the oven and let cool for a minute. Use a spatula to carefully pick each squash ring up from the pan and transfer to a plate. Serve immediately. Some acorn squash skin is thin enough to eat. It’ll depend on the thickness of the skin on your squash, but the skin can be eaten. ohh this is a great idea! i have a feeling my sister would love these. and they’re so pretty too! thanks for sharing!! Thanks, Minna 🙂 I just love the variety of uses for winter squash. I hope your sister gives these a try!